Puzzles and Solutions will be posted after Minneapolis does its recast (in May). Registration for the San Francisco event will open at 9:00am and the game will start by 9:30am. We'll wrap up by 6pm, Pacific time. We'll be starting near the city's Northern waterfront. The exact start location has been sent to registered teams. Check your email! At least one Android or iOS7 smartphone running the ClueKeeper App. Register for a ClueKeeper account, download the hunt, and add your teammates before you arrive. Food and $$ for buying food on the route. See the FAQ for a more comprehensive list. The event will be in San Francisco, so please come prepared for the City By The Bay's ever-changing weather. You will be walking and puzzling outside for much of the day. Bring sunscreen, layer up, etc. Expect to walk 2-3 miles over the course of the day. Our city does have hills, and some puzzles may require you to climb them. Let us know when you arrive if this is a concern for your team. San Francisco is looking for volunteers for Game Control on April 26. 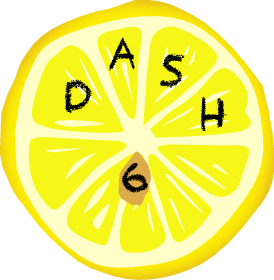 Come enjoy DASH from the other side! Email us if you are interested in helping out. What is a DASH team? If several of your team members have done puzzle hunts before (DASH, BANG, MIT Mystery Hunt, etc) you probably want to pick "EXPERIENCED". If no one or only one person on your team has done this sort of thing before, or if you previously found the puzzles more hard than fun, pick "NEW". And if you're a group of 10-16 year olds, you can pick "JUNIOR".